Editor’s note: Tessa Stammberger had her Tigers career on the court end when she broke both bones in her right forearm in a game against Memorial on Sunday , Feb. 7. Tessa Stammberger dribbles the ball up court. She passes it to a teammate and moves off the ball to get ready for a return pass. She gets the ball back and hits a step out jumper from the foul line just before the shot clock expires. Tessa knew what to do. Her coach only had to hold up her index finger and yell out a single word, “one.” These play calls are all the direction Tessa needs during the game. Tessa and her coach have spent five years working together on the Dalhousie Tigers women’s basketball team. Her coach, Anna Stammberger, also happens to be her mom. Passion for basketball runs deep in the Stammberger household. Tessa, 22, grew up watching her mom play the game professionally in Germany. She even plans to do the same thing herself. She spent her first 10 years in Germany, where her mom played for Rentrop Bonn. Tessa and her younger brother Sven, who plays on the Tigers men’s basketball team, got to see the game a lot as youngsters. Anna says Tessa showed a true knack for the game at a young age. Playing in Germany in grade two, she frustrated her opponents with stifling defence. The Stammbergers moved to Anna’s hometown of Kensington, P.E.I., in 2004. 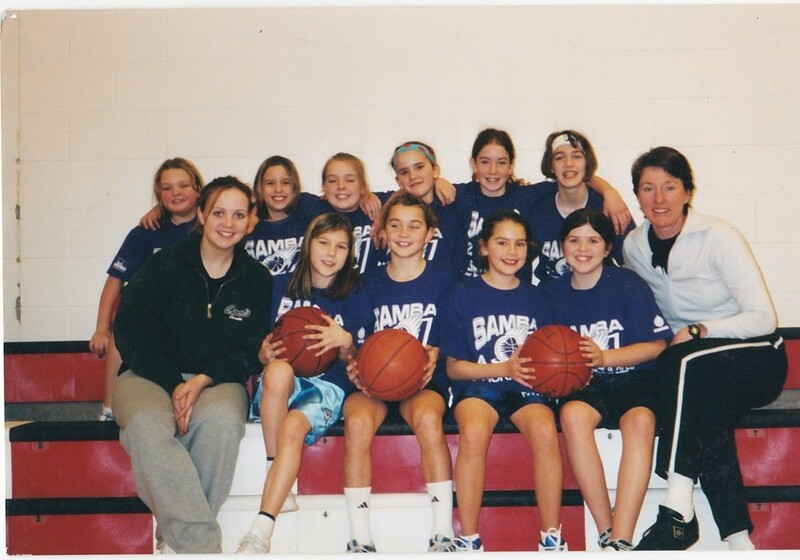 Five years later, Tessa represented the U.P.E.I U-17 provincial team as a 15 year old. The next year the Stammbergers moved to Halifax so Anna could be the head coach of the women’s basketball team at Dalhousie, her alma mater. 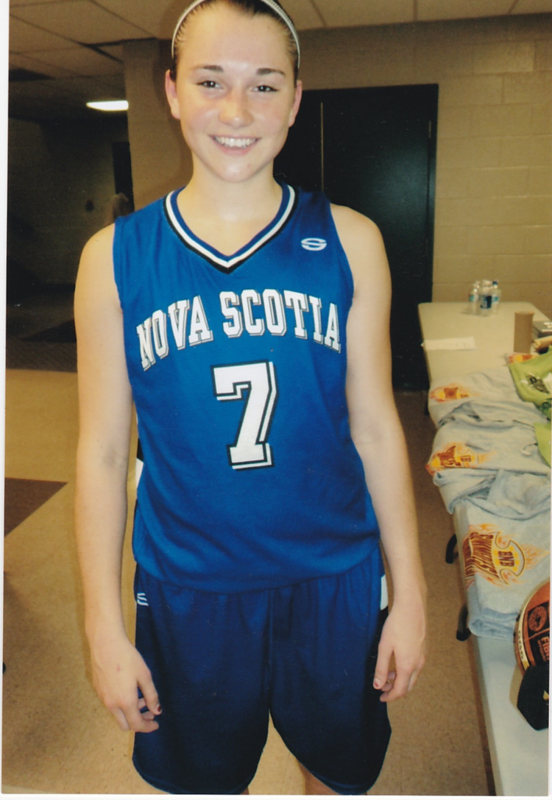 That year, Tessa was able to make the Nova Scotia under-17 provincial team. 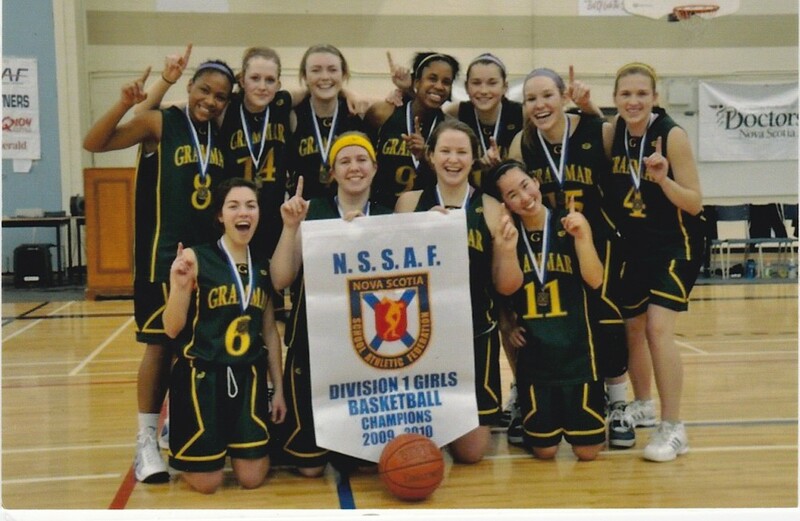 Her first year in Halifax, Tessa, now 16, played for Halifax Grammar High School and helped them win the provincial championship. That’s when Anna felt her daughter would be able to compete at the Canadian Interuniversity Sports level. “If she’s helping her team win provincials of Division 1 in Grade 11 then she’s probably going to be able to play at the next level,” said Anna. Tessa ultimately decided to become a Tiger and go play for her mom. She says basketball has given her so much. Tessa is listed as a forward, but handles the ball like a guard, just as her mom did. At Dal she was able to shine on the court right away. She was named to the CIS all-rookie team in her first year. Her teammates voted her team captain in her third, fourth and now fifth years. At one practice Tessa took a spill to the court. A couple of plays later her teammates noticed some blood on her leg and told her to go to the sideline to have the cut bandaged. As soon as the bandage was in place, she sprinted back onto the court to rejoin her teammates. It’s no surprise that both Tessa and Anna think a lot about basketball away from the Tigers. But they say they try to keep their player-coach relationship separate from their mother-daughter relationship. Still, it can be difficult at times when the coach is also your mom. Anna understands the challenge as well. They both say they’ve enjoyed their time together on the team, but they’re looking forward to getting back to being purely mother-daughter. In her final year as a Tiger, Tessa’s basketball career and life will see a drastic change. She is about to get her degree in kinesiology and will now try to get another one in education so she can become an elementary school teacher. For most university athletes, their time in competitive sport ends after their five years of eligibility. Tessa, however, has the opportunity to go to Europe and play professionally. Tessa wants to return to the professional basketball courts in Germany, this time as a player. She’s fluent in German and has a German passport, which would help her chances of making a team. “The plan has always been to go play basketball in Germany because I do have that German passport,” said Tessa. She still doesn’t know if she’s going to head back to school in the fall to study education. “If I get in I’ll do that, but then I want to go over to Germany,” she said. While Anna spent more than a decade playing professional basketball, Tessa is unsure of how long she would play. She knows she would return to Canada after. One thing is for sure, the story of Tessa and basketball will continue to dribble on.